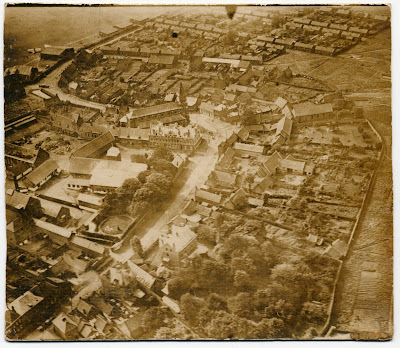 This blog covers those aspects of my landscape work which deal with the relationship between aerial photography, landscape in its various manifestations, and mapping (particularly 1914-18 trench mapping). This book, which took Dr Chasseaud over twenty years to research and write, is the definitive operational history of British field survey organisation, units and personnel on the Western Front. It covers Royal Engineers and Royal Artillery Survey, and also the aerial photography for survey and intelligence purposes by the Royal Flying Corps/Royal Air Force. It examines all aspects of map production for the British Expeditionary Force, the use of maps, and technological progress in cartography and artillery survey in 1914-1918. It also includes comparisons with French, German and American military survey and mapping. It is available from Mapbooks, c/o The Tom Paine Printing Press, 151 High Street, Lewes, East Sussex, BN7 1XU, UK. Price £50 plus £5 post & packing in UK. Please enquire about postal charges to overseas destinations. Trench Maps, Intelligence Maps, Hostile Battery Maps, etc. The treatment of all the above is primarily in terms of the chronological and operational development of the survey organisation and units, but personnel and scientific developments (e.g. sound ranging theory and apparatus) are also regarded as important. British survey work in the First World War was mainly carried out by the sappers, though with a significant gunner contribution; this made possible the remarkable British triumphs of Cambrai in 1917 and the Battles of the Hundred Days in 1918. Far-sighted sappers like Winterbotham, and gunners like Tudor and Lecky, understood the principles of war and the necessity of using the latest technology to achieve surprise. They knew that their task was to destroy or neutralise the enemy machine guns and artillery while the infantry and tanks crossed no man's land and captured and consolidated the enmey position, or fought through to exploit success and manoeuvre to threaten the enemy's flanks and rear organisation. Herewith a Pictorial History of the Australian Corps in the 3rd Battle of the Somme, from March 27th to October 6th, 1918. The Photographs studied with a map are in themselves an index to the extent and character of the series of brilliant operations carried out by the troops of the [Australian] Corps. During the period under review a total of 29,144 prisoners and 388 guns, thousands of machine guns, and a large number of trench mortars were captured, beside much R.E. material and other booty. The advance of the Corps was pursued for a total distance of over 40 miles. 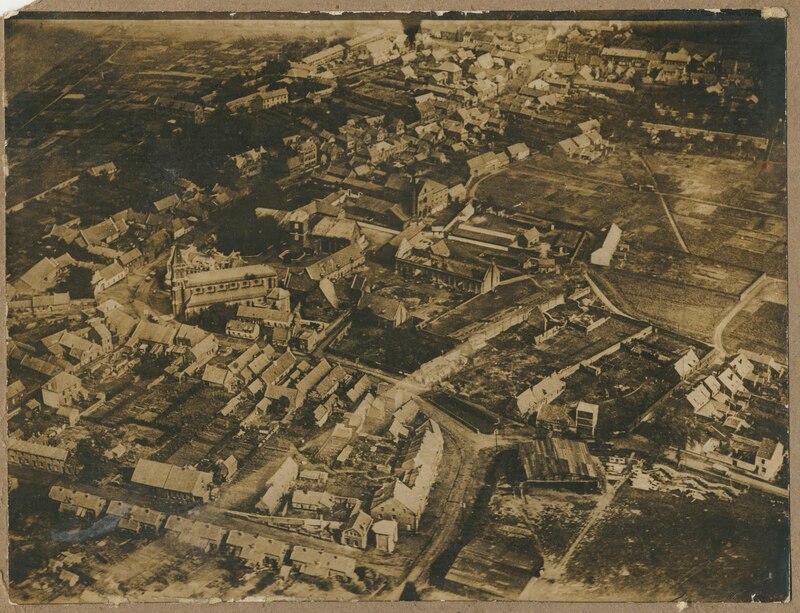 Over 120 towns and villages besides a large number of farms, mills, woods and copses were captured, and during the latter stages of the operations many French inhabitants were released from captivity. 39 enemy divisions were engaged and defeated, of which 12 were engaged twice, 6 – 3 times, 1 – 4 times, and 6 have been since disbanded. The Book is forwarded with best wishes for Xmas and the New Year. General Staff (Intelligence), Australian Corps. I am indebted to the Australian War Memorial for the information about this printed insert, which contextualises the publication. Das Taktische Lichtbilderbuch. Juni 1917. II Teil. This German aerial photography handbook from the First World War contains many aerial photographs of tactical features, with captions relating to camouflage and concealment. It is particularly informative about trench mortar and machine gun emplacements, and battery positions. Many of the illustrations are from the Russian front. Das Taktische Lichtbilderbuch. Der Kommandierende General der Luftstreitkräfte. Nr. 2500/17 Lb. Juni 1917. Nur für Dienstgebrauch. II Teil. Die Deckung gegen Fliegersicht. Hergestellt in der Tiefdruckanstalt Charleville. 67pp, 32.5 x 21.5 cm, portrait format. 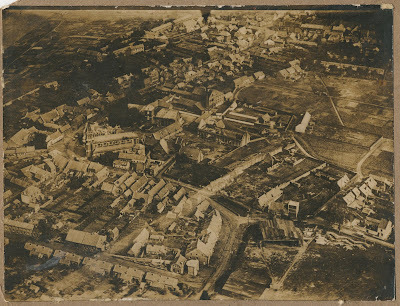 Many aerial photographs of tactical features, with captions relating to camouflage and concealment, reproduced by photogravure. I will post some of the images shortly, once I have scanned them. Unidentified airfield - Western Front? 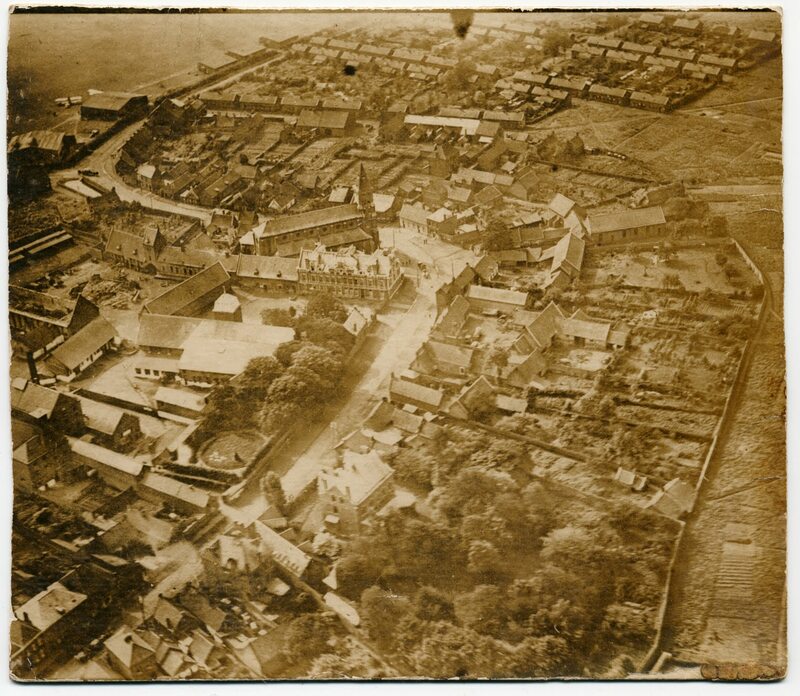 Can anyone identify the town and airfield shown in these two air photos of the First World War period which I've just found in a local flea-market? Look to me like they might be German photos, possibly of a German airfield in northern France or Belgium. Both photos show fiducial marks, which is not normally the case for RFC/RAF photos (though RNAS photos do sometimes show them). The top one is approx. 163 x 217 mm (about 6.5 x 8.5 inches), while the bottom one is approx. 163 x 188 mm (about 6.5 x 7.5 inches). Added 23 Dec 2010: Ha! I've beaten you to it. I have identified the village and airfield as Abscon, just to the west of Denain (SSW of Valenciennes) in northern France. I thought I'd look at some First World War maps (British 1:40,000 series) to seee if I could spot the street plan with the distinctive feature of the church on the road-bend. I lloked at Sheets 51 and 51A, and sure enough, within a minute or two I found the village of Abscon. Google Earth seemed to confirm it, and when I searched Google images for Abscon I found photos of the church and the Mairie next to it. So there we are; they're German photos of a German airfield. It now remains to pin down the year. It's clearly the summer, and, given the type of German aeroplanes shown (Steve Suddaby gives his opinion that 'it might be a Hannover CL II or III. It looks to be the size of a two-seater based on comparing it with the wagon and team of oxen/horses pulling it. If my eyes are not deceiving me, it seems to have a double horizontal stabilizer which greatly narrows the number of aircraft types of any country that it might be. The wing configuration seems to match a Hannover. If I'm right about the aircraft type, it would date the photo to late 1917 or later'), may be 1917-1918. The following volume is a fascinating link between the air photo (AP) interpretation manuals produced during the First World War and the later developments in the inter-war period and the Second World War. I believe there is a copy in The National Archives at Kew. I'll post some images in due course. 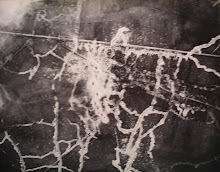 Notes on the Interpretation of Air Photographs, War Office, May 1924. For Official Use Only. Air Min. 2235. ((40/Misc./2235). [HMSO] Print code: (C4357) Wt.W1149/PP2982 6/24 250 Harrow. 1 page Contents. 1 page List of Plates. Text pages 5-15. 143 plates: Photographs Reproduced by Advanced Photographic Section, AP&SS, British Army of the Rhine, covering Western Front, Rhine, Italy, Palestine, Macedonia and Gallipoli fronts. ‘This manual embodies the experience gained in the interpretation of air photographs during the stabilised periods of warfare on the various fronts between 1915 and 1918. The photographs reproduced in the plates exemplify types of work which may, or may not, be met with in the future.’ Large portrait-format album, 14” x 12”, thick buff covers, with black cloth spine. All plates are real photographs, not half-tone reproductions, except for one for guidance in interpretation of certain features (gunpits, trench mortar emplacements, etc.) which is based on wartime drawings. I'm currently working on a book exploring the relationship between air photos and tactical maps such as artillery maps and trench maps. This will examine the developing sophistication of interpretation, and the exploitation of its fruits in the proliferation of tactical (and topographical) signs on the maps. the landscape sweep of panoramas . . .
where willow rods now claim the sky. willow fingers start their splaying trajectory. by medium and heavy artillery. a steel scourge of splinters. the felled tree’s flesh glimmers with the pallor of a shroud. is called a blank (not ball). from the wired brushwood by the concrete pillbox sherds? shoring the still dyke or pool? their studding, their scatter in the landscape. What information do they yield, these willow patterns? the drilling rain, crumbling bank. along the ditch, around the teeming pool and moat. form field boundaries, divide lush pasture from clay plough. leaving a hecatomb of corpses? one of the seven noble, sacred, trees of the grove. urge the season of the renewed sun. wanton priestesses of the Moon-goddess. puts poets’ minds under a strange and potent influence. outside the Dictean Cave the Orphic willow grew. the liknos, used for winnowing corn, telling the future. led the Muses, guarded the Delphic Oracle, before Apollo. Belili, Sumerian White Goddess, was a willow-goddess of wells and springs. Beli, her divinatory son, a Sea-god, tutelary deity of Britain - his ‘honey-isle’. before he can rule an island. and Eu-rope, of the flourishing withies, Helice, sister of Amalthea. Wicket Corner became Wicked Corner. Rods sprout from willows’ polls, make baskets ensnaring the moon. so you haven’t got a chance, boys, in the willow landscape. shade for picnics and lovers. I'm posting this here because my web search for Secauspion Road turned up zero web pages - a most unusual event these days! Secauspion Road was a plank road constructed across the shell-wrecked swampland of the Ypres Salient during the Third Battle of Ypres (1917). I believe the name is a composite, derived from SECond AUStralian PIONeers. Does anyone have any confirmation, or any alternative ideas? This was one of the fascinating trench and topographical names I discovered while scouring trench maps, divisional and regimental histories, war diaries and other sources, for my book Rats Alley - Trench Names of the Western Front (2006). I work in many media: oil painting, lithography, etching, drawing, photography, film, installations, artists books. Generally figurative and landscape, and combining images with text - I write poetic (free-verse) texts for my artists books. The images and texts have equal weight. My Kings Cross (2004), Thames - The London River (2005) and Afghanistan - A Journey (2007) books are concerned with topography, history, human culture (especially art and literature), politics, and my own memory. I am concerned with the way in which changes in technology and politics have an impact on human society, on a micro-level as in Kings Cross and Thames, or on a more macro-level as in Afghanistan. In 2007-8 I showed my artists books in London, Leeds, Bristol, Marseilles and Oxford. I am working on an art project (painting, drawing, printmaking, photography, film, willow sculpture) on willow trees in the Ypres Salient in Belgium. Also new artist's books inspired by Isaac Rosenberg's poems, and by the Euston Arch and the Euston - Camden - Chalk Farm area, and in 2009 continuing work on the East London and Borough Market areas.